One of my more recent additions and I’m glad I didn’t pay for it. Boxed AES systems fetched $650 when they were first released and while that price has dropped over the years, you’re still lucky to find one for less than $150. I got mine through trade, which is just as well, because it’s actually not in the kind of shape I’d look for if I was paying cash money for something. It works, and it’s in what I’d call “above average” condition for a system of its age, but it’s definitely not mint. On the plus side, it does come with the original gigantic AES arcade joystick, not the redesigned model SNK introduced later as a cost-saving measure. I actually really like the Neo Geo system – a lot of people just don’t get why it’s so expensive or so prized by its fans, but after owning one, I certainly do. 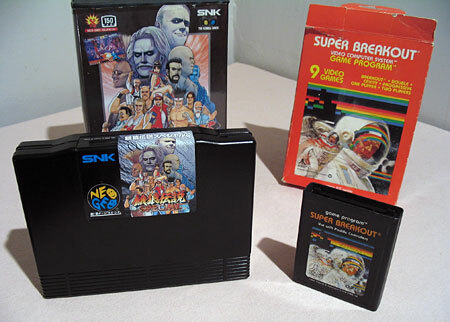 (I’ve also been a fan of SNK’s games for a long time.) It feels like a high-end system – it’s very large (almost as big as an Atari 5200) though sleek and well-built, the cartridges are by far the largest and heaviest of any home game system, the included controller is by far the best built and most authentic arcade controller ever packed-in with a home system, and of course the games are bit for bit the exact same games as their arcade counterparts – they are not ports. This is the only system I know of in the history of game consoles that can claim that. 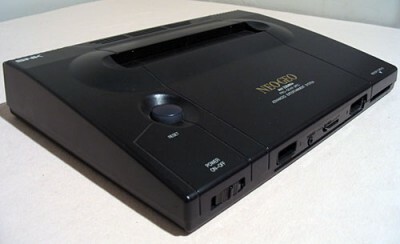 These days it is not that expensive to actually buy a used Neo Geo arcade cabinet, but owning an AES is actually pretty much the same thing in a smaller package. It’s really a beautiful system, isn’t it? 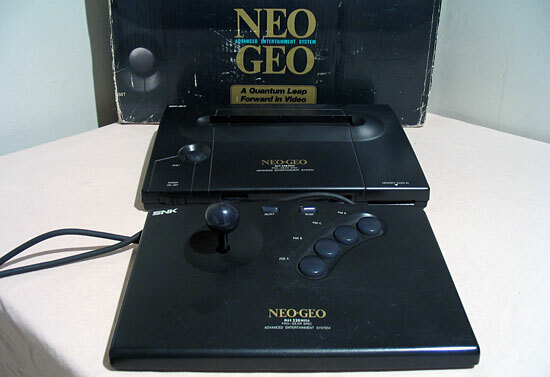 This is the only Neo Geo game I own, as even the cheapest used AES games still cost around 20 bucks each. And they just go up from there. There’s a lot of RAM in those carts.